Guinness Homes required marketing material to reflect the high profile, high specification nature of this development. Forming the Section 106 aspect of a joint scheme, it was important for Guinness to compete well with the open market developers on the site. 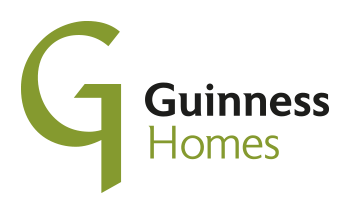 Rather than producing the usual style of literature for ‘standard’ developments, Guinness Homes commissioned us to develop bespoke marketing materials. We worked closely with the Guinness team to establish the requirements and develop the brief, as this was a very different scheme for them. 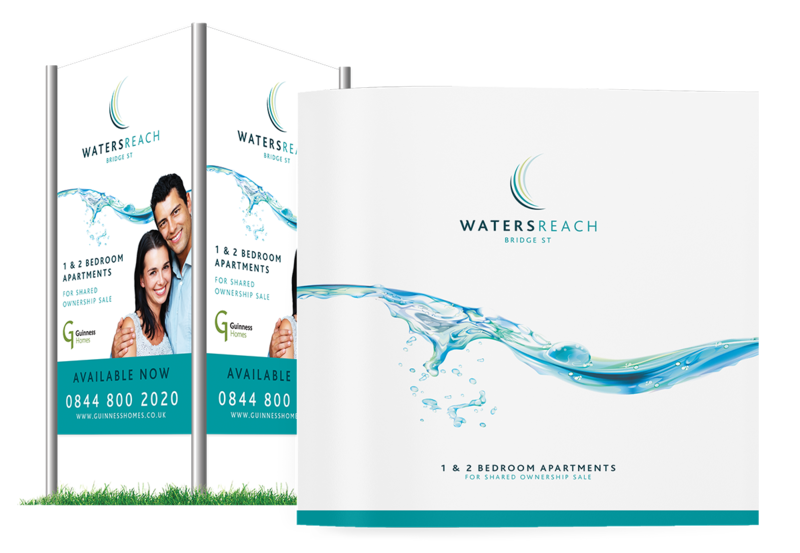 We created an identity, brochure and site signage, to reflect the unusual nature of this waterside development. 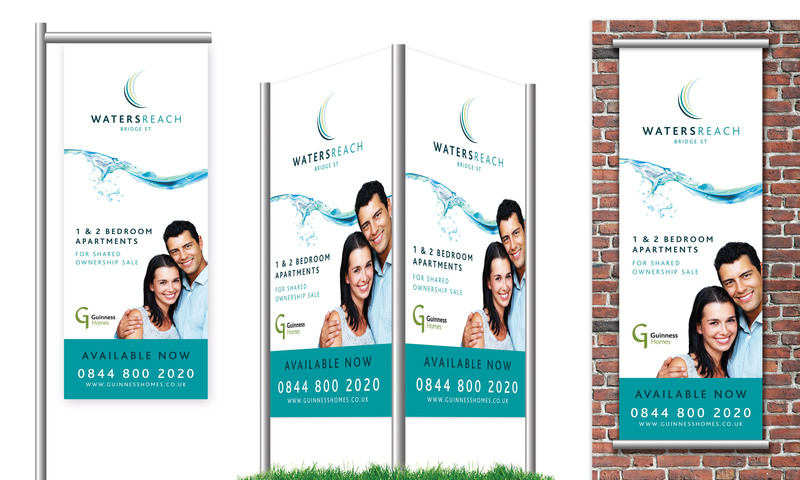 The bright, fresh and clean, the identity picked up on the ‘waterside’ theme, with the colour palette, the icon and the graphics throughout the marketing materials. 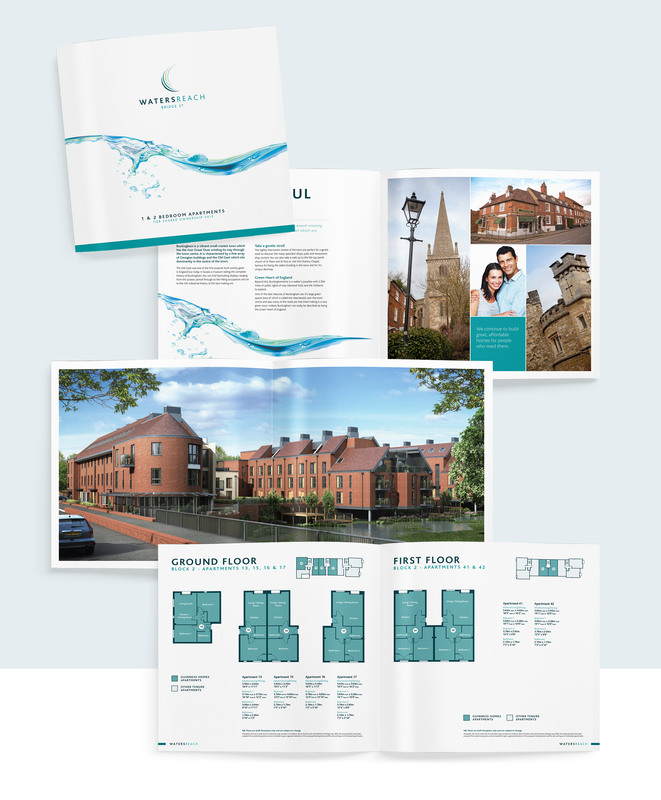 We researched the area, wrote the copy, carried out a photoshoot on location, commissioned a street scene CGI and brought the whole project together in an impressive and informative brochure. The clean, crisp design certainly compared favourably with the marketing materials for the open market developer on the scheme. The properties sold well and Guinness were delighted with the part we played. This was a development which warranted more than our standard marketing approach. We appointed Lines, who we have known for many years and the results were very pleasing indeed. I look forward to opportunities to get them involved in projects again soon.